Photo from Amgen Tour of California. 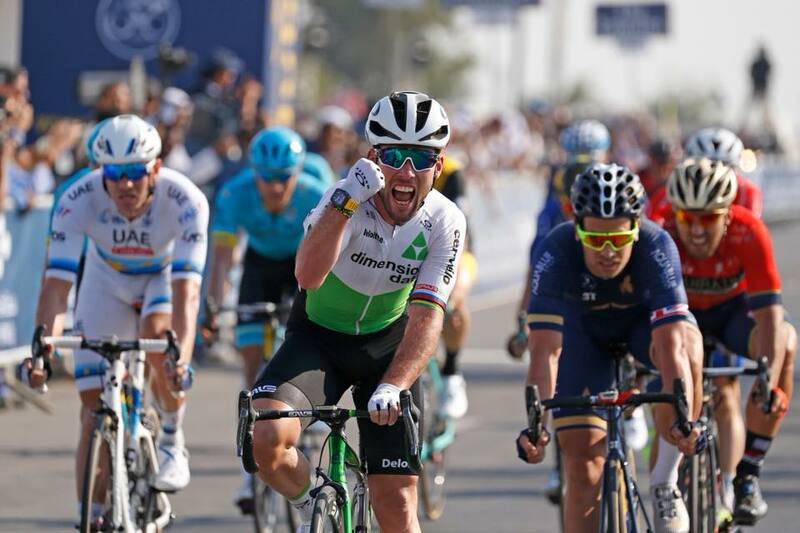 With the first of seven stages of the Amgen Tour of California to kick off in Long Beach this Sunday at 12:30PM, there’s a wide range of events surrounding the seven-mile circuit race you won’t want to miss, whether you’re an avid tour follower or bear a mild approval of the two-wheeled mode of transportation. 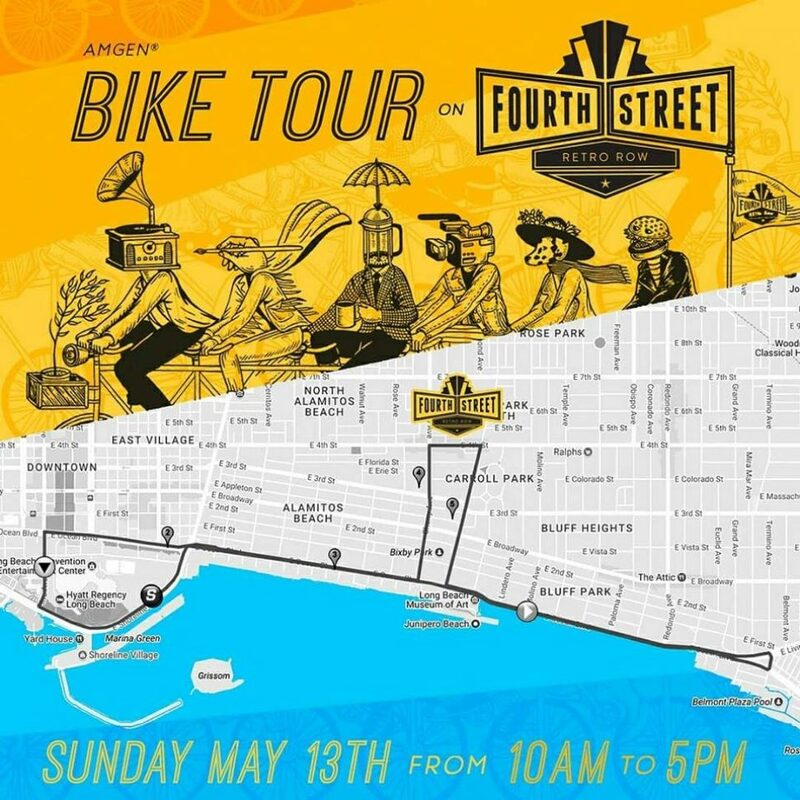 The City of Long Beach is also celebrating Bike Month in May and has organized a few pre-race happenings to not only hype up the Cycling World Tour event, but garner enthusiasm for the mobility-forward activity. For the full list of bike-related happenings, visit the link here. “We are honored to work with Amgen and our other City partners to provide even more cycling activities and events this year than ever before,” said Mayor Robert Garcia said in a statement. On Wednesday, May 9, ride your bike to the Art Theatre (located at 2025 East 4th Street) to watch “A Sunday in Hell – Paris Roubaix 1796”. Proceeds from the tickets, which are available here, will go toward Miller Children’s Hospital of Long Beach. Don’t worry about bringing a lock as a free bike valet will be provided. On Thursday from 6:00PM to 10:00PM at The Hangout (located at 2120 East 4th Street) the “Wish You Were Beer” Cycling Chefs Dinner will give ticket holders a chance to mingle with riders of the tour, take photos and get autographs while trying brews from Boulevard Brewing and food pairings from participating chefs. Tickets are $75 with the proceeds benefitting Miller Children’s. To be held in front of the Ferris Wheel on the Pike Lawn, located at 95 South Pine Avenue, the Amgen Tour of California Rider Team Presentation will take place Friday from 6:00PM to 8:00PM. Get to know the faces of the tour during this free event. The 2018 Tour of Long Beach supporting Miller Children’s will offer a fully supported 5-mile Family Fun Ride, 30-mile tour, 62-mile metric century and 100-mile Cruz Gran Fondo followed by a Finish Line Festival featuring live entertainment, food, a beer garden and more. Click here for more information on the Saturday event. Parents can still register their young ones here for the Little Strider Race to take place the day of the Amgen Tour of California race. Participants must wear closed-toed shoes and a helmet, have a Strider bike and be two to five years of age. Those interested in volunteering to help the Men’s Stage 1 race run smoothly can fill out this form, and then check in to the Facebook event page here to stay up to date with time changes. A volunteer meeting has been scheduled for Tuesday, so make sure to sign up by then. Retro Row businesses will be offering food and drink specials , live music and entertainment from 10:00AM to 5:00PM as the race passes through 4th Street. Stop by the “Amgen Bike Tour on Fourth Street” to watch the race and enjoy a Mother’s Day relaxing as the world’s top cyclists fly by.